Nearly every culture on the planet dedicates a specific cultural delicacy or beverage to one of the four seasons. In North America, we borrow from all of the cultures that make us who we are—and the one commonality that has followed us over the oceans and time is beer. It weaves itself into our holidays and celebrations and connects us with our pasts. The most diverse beer time on the calendar is upon us now. As we enter the winter solstice, you’re going to encounter beers that range from dry and fruity to rich and chewy. Our beers this month represent the diversity that brings us all together while adding that extra spice that makes the holidays special. 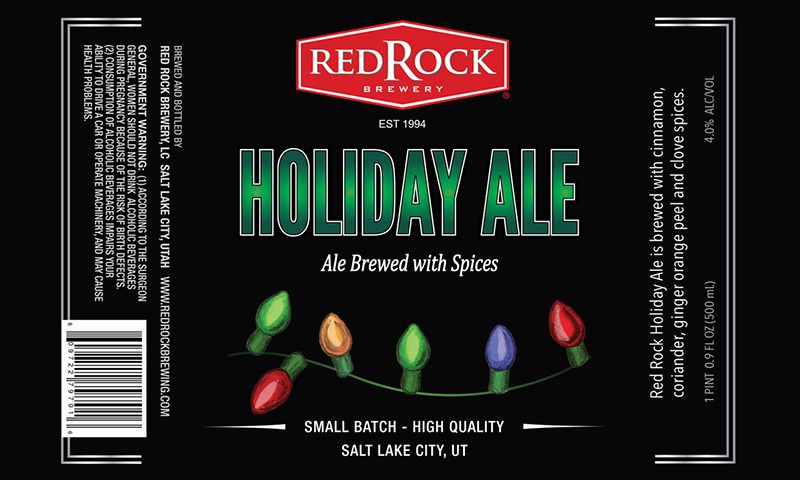 Brewery/Brand: Red Rock Brewing Co. Description: This new session ale from Red Rock pours a clear, golden-amber color with a thin cap of sudsy foam that fades to ringlets around the sides of my beer tulip. The nose smacks your nostrils with spicy cinnamon, nutmeg, cloves and a touch of doughy maltiness beneath. The taste starts out with thin malts that transition into a holiday spice kick. Nutmeg and clove are quite pronounced, then morph into a muted bath of cinnamon spiciness. The finish is slightly piney with a hint of spruce. Overview: While this lacks the “oomph” of its big brother, Griswald’s Holiday Ale, this beer delivers a satisfying zap of holiday spices that scream good cheer without the alcohol hammer. You’ll find this at most Harmon’s Grocery Stores.